Here's a bit of news which could make the net neutrality advocates wince. Opera announced on Tuesday that it is expanding its year-old Opera Max data compression service and adding a new option for mobile carriers. Originally designed to let users get the most out of their mobile data plan by compressing their downloads, Opera Max now enables telecoms to offer free access to apps of their choice. 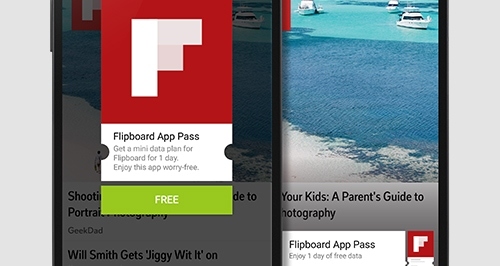 The new feature is called App pass, and it builds on Opera's Web Pass service. Web Pass lets mobile carriers sell limited access data plans and charge either by the minute, MB, or trade access in exchange for watching an advert. The new App Pass service lets telecoms offer free, sponsored, or low-cost access to selected apps. It's basically a single-app data plan, and according to Opera, "App Pass lets operators present offers to users when they open any app on their phones. With two clicks, users can gain free access to the data that app consumes via Opera Max: they can then return to the app knowing that any data consumed while using it will be zero-rated for the duration of the App Pass." Opera is launching this service today, and they've already signed a partner: Norwegian telecom Telenor. According to its statement, it will be testing App Pass in some of its Asian operations. "We’re eager to see how this service is received in our markets," said Telenor digital chief Rolv-Erik Spilling. Well, as you might know, there's this little thing called net neutrality. This is a principle which states that all data passing through a telecom's pipes should be treated equally, and App Pass violates it. App Pass gives telecoms the tools they need to strike special deals with certain apps. This type of deal is called zero-rating, and it's growing popular with certain telecoms and apps. To be fair to Opera and its partners, they're not the first to take this route, nor are they the most widespread. That title would go to Facebook's trojan horse effort , aka Internet.org. While Internet.org is styled as bringing the internet to the third world, as we saw when it launched in Columbia last month what this program really does is bring access to Facebook and a handful of other sites and services (mainly government services). That limited access may satisfy many users who think that Facebook is synonymous with the internet, but it is still far from the open internet access you and I enjoy every day. Even though App Pass is good for Opera and the telecoms in the short run, in the long run I think it will be bad for the internet as a whole. It’s really unfortunate what happened to Opera. It used to be the power-users browser. But now it has gone the way of Chrome, and essentially exists to delivers eyeballs to advertisers (the owners of Opera bought several ad networks recently). All the features that made the browser great, and a pioneer were gutted. I started using Opera last week due to an article here. I’ve stopped using it. It was basically just like all the other browsers, except that it would get into a state where it wouldn’t load any new tabs. I am actually using the last, good version of Opera, which is 12, released a year and half a go. It still works with most websites, though some I have to use Chrome for (Amazon is probably the biggest). I’ll probably stick with it until Vivaldi is released.